Place cupcake papers into cupcake pan. 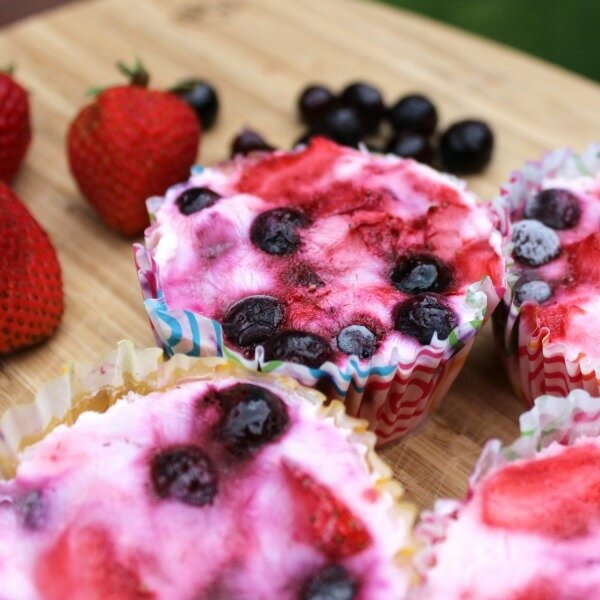 Scoop ¼ cup yogurt into each cupcake paper. Add strawberries and blueberries. Press fruit down into yogurt.